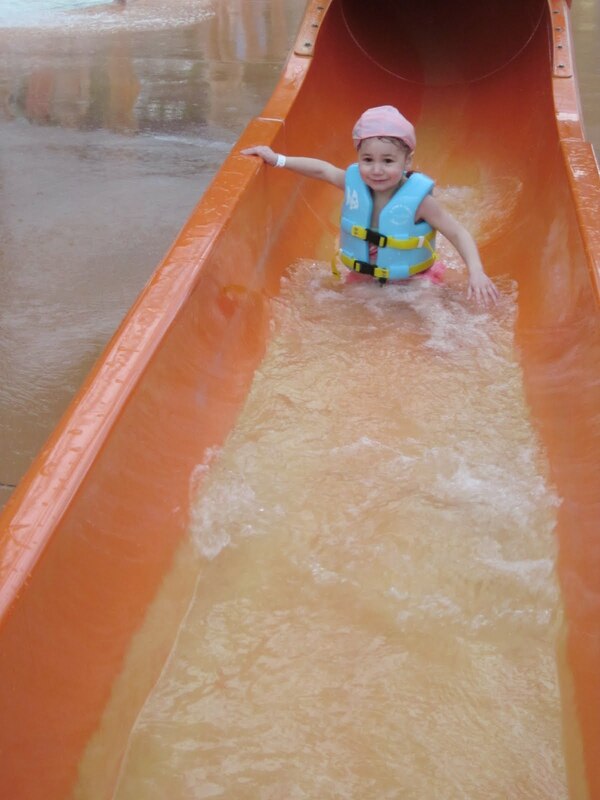 We spent a couple days at the "Americana" resort waterpark in Niagara Falls (Ontario). 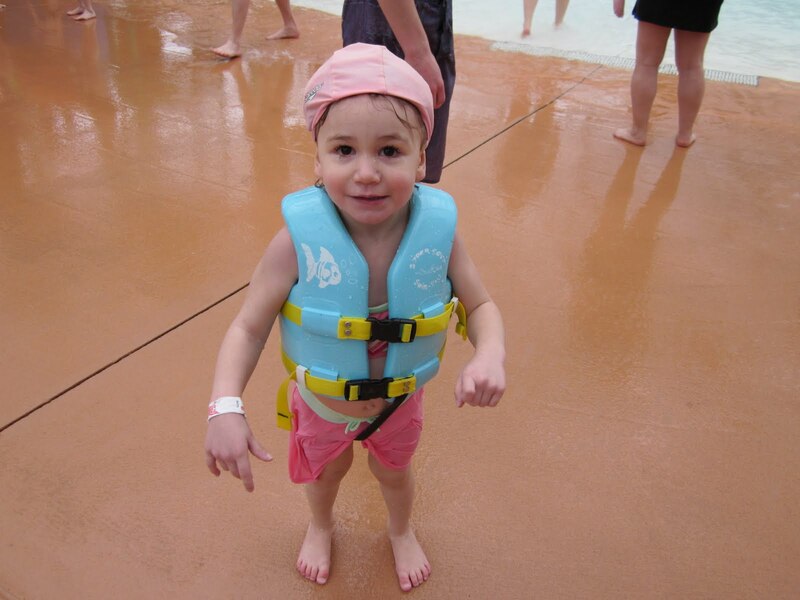 Just want to remind everyone that yes, it is possible to waterproof the cochlear implant so that your child can swim AND hear! Here are three methods one could use to waterproof the CI. 1. The method I use: Aloksak bag and swim cap. For more details, click here. 2. Foodsaver method: click here . 3. Balloon method: click here . Ava has the Nucleus 5 CI's from Cochlear Corporation. The Nucleus 5 is water and splash resistant. 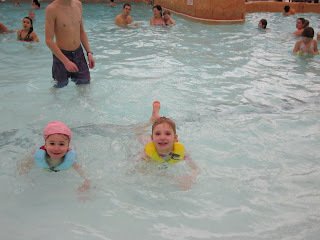 I get a lot of comfort from this, which gave me the confidence to allow Ava to swim with the CI (using the Aloksak bag). The predecessor Freedoms are also water resistant. Cochlear Corporation's various websites show the N5 processors on wet children splashing about (without the use of any of the waterproofing inventions mentioned above). However, here in Canada, we don't receive "back-up" processors like our American friends do. 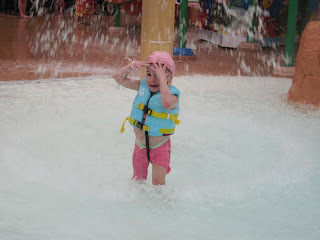 So, I'm not willing to chance having Ava wear her CI's around the water without using the Aloksak. I met, through our cochlear implant on-line parent group, a super dad from Florida who told me how much his toddler daughter loves singing and hearing her voice with a microphone and amp. He sent me a video of his daughter belting out Twinkle Twinkle Little Star and I was amazed at how proficient she was with the microphone and how she sang with so much feeling. I have since been eager to get a microphone and amp set up in the house as I can see how it could be used as a means to improve Ava's articulation. My husband is a musician and has this equipment, but he uses it quite frequently for his gigs and his equipment is so heavy and difficult to move in and out of the house. 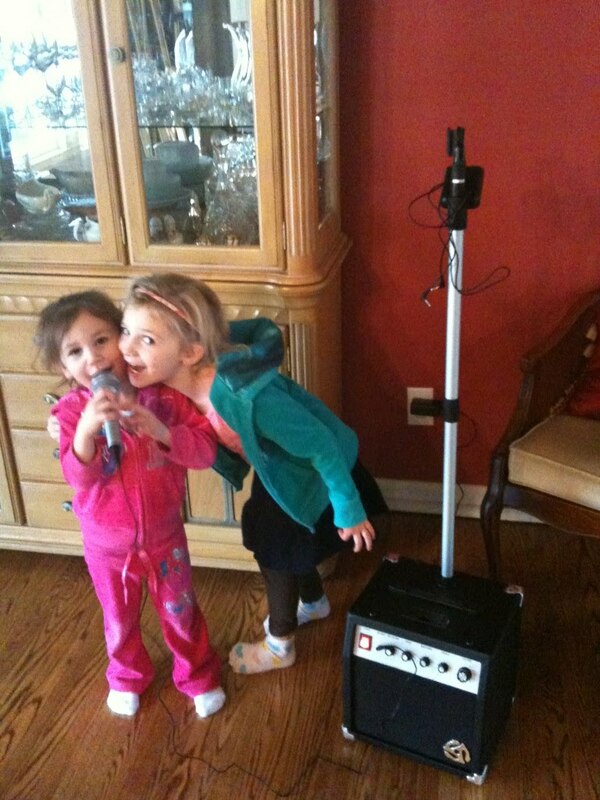 Well today, Ava and sister Lauren's awesome Godmother Linda, picked up this fantastic amp and microphone set from Pottery Barn (she couldn't resist the deal - it was marked down as a doorcrasher special from $200 to $20!). It is the real deal, not a children's plastic toy type. You can even hook up your iPod to it to play sing-a-long music. The girls went nuts, especially Ava. I highly recommend getting this for your CI kids, especially little ones learning to talk. Kids love to hear their own voices and love to perform. And of course, the obvious benefits are it's a fun way to develop and enhance language! Here's a sample of Ava's rendition of "Wheels on the Bus". We made her sit down as she was jumping and dancing around so much she kept yanking the microphone cable out of the amp. Your next American Idol maybe?